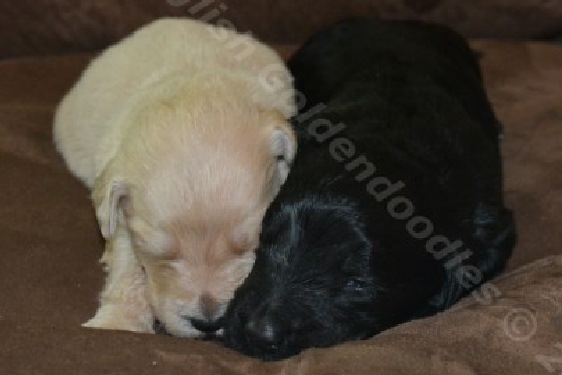 Our litter of standard F1 goldendoodle puppies are beautiful. They are now one week old, and we are thoroughly enjoying them. Buttercup is simply a wonderful mother, and we are excited about how great the temperaments of these puppies are. 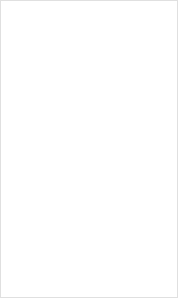 Meet the Parents here. 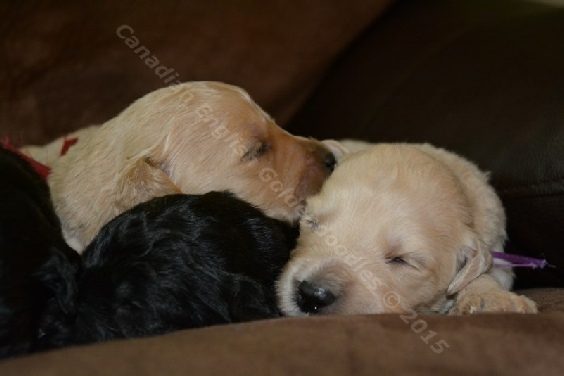 These puppies were born July 6, 2015, and are growing well, moving around their home more easily, and are becoming roly, poly, contented goldendoodle puppies. 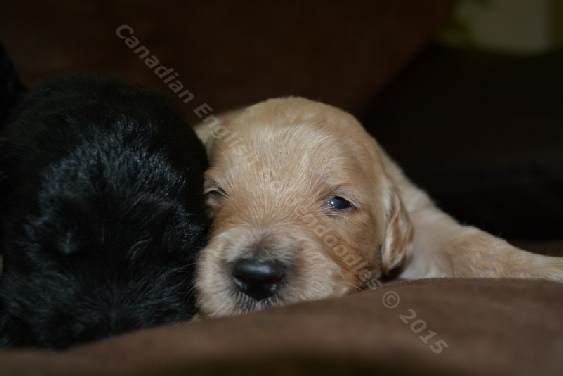 We raise our goldendoodle puppies holistically, giving you a healthy, well-adjusted, joy of a puppy. 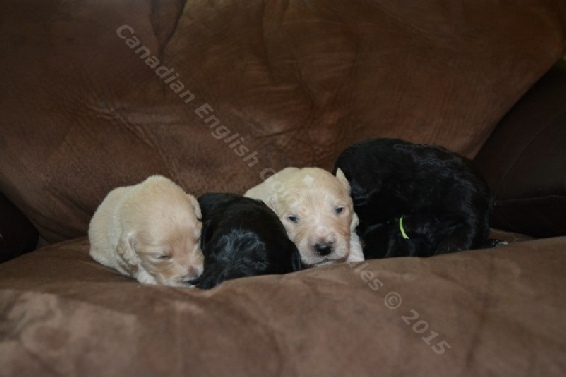 This litter is just over half sold. There are still one female and two male puppies waiting to find their forever homes. Simply head to our adoption process page and follow the instructions to register and reserve your new goldendoodle puppy.